Complimentary tasting and 10% off all wine purchases. Hours: Spring & Summer Hours: May to September open daily from 11 a.m. to 5 p.m.
Fall & Winter Hours: October to April open Thursdays through Mondays 11 a.m. to 4 p.m.
We also welcome Private tastings: Please call 509-525-1843 or email litas@canoeridgevineyard.com for an appointment. We welcome groups and appreciate advance reservations of 8 or more people. Originally designed as a small lot, red varietal-focused winery that opened in 1994 in an historic engine house, Canoe Ridge Vineyard has remained true to its vision in producing Merlot, Cabernet Sauvignon, red blends and a smaller production of Chardonnay. It has grown to offer multiple ranges with something for nearly every palate and price point. Come enjoy a sip on the seasonal patio or cozy up inside at the charming tasting counter. We’re located in a quiet area right outside of the downtown in a historic engine house! 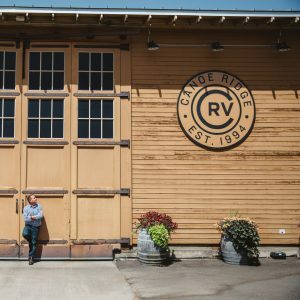 Canoe Ridge Vineyard was the 7th winery in the Walla Walla Valley with a winemaker (named Bill Murray) that was part of the original founding of the vineyard and winery. Along-side our wines, we have a fun and unique merchandise section. We specialize in Cabernet Sauvignon, Merlot, Chardonnay, Red Blends, Cabernet Franc, Syrah, Rose.